“Hello and welcome to Bestall & Co, a company I’ve been cultivating since 2004. Over recent years, we’ve been recognised as one of the best garden design practices in the North of England, and have won many awards at prestigious flower shows including Chelsea for the past three years. A particularly proud moment was in 2012 when I was named Channel Four Grand Designs Garden Designer of the Year. I’m often asked by potential clients “how did you become a garden designer?” so for all those curious people out there, I’d like to share with you our story, which begins long before it was just me and a mower. I began gardening with ‘Grandad Shed’ when I was around four years old, and have been growing herbs and vegetables on and off ever since. As a teenager, I was a closet gardener, so whilst my friends were zooming around their BMX bike (yes, I was an eighties child), I was trying to achieve a striped lawn with a Flymo – although never on the front garden in case I was seen! After university, I was offered a position in a friendly consultancy office, where I spent much of my time gazing out of the window, longing to be outside. 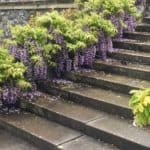 After working in sales and then HR for three years, I left the high-pressure world of recruitment and set up a maintenance company called Inspired Gardens, which would later become Inspired Garden Design in 2010. By October 2004 I’d been cutting grass and weeding borders for around six months, and as the days started to shorten, so did the number of clients who wanted my summer services. Late one afternoon whilst cleaning the mower blades, thinking ‘how is my business going to survive the winter?’ I had a surprise call from the BBC. They were commissioning a gardening programme called Garden School – The Apprentice for aspiring garden designers. They were responding to an application I’d made two years earlier and congratulated me on being selected from four thousand applicants, making it down to the final three hundred (there would be only eight winners, so I still had some way to go). The series was filmed in 2005 and aired as an eight part documentary on BBC2. 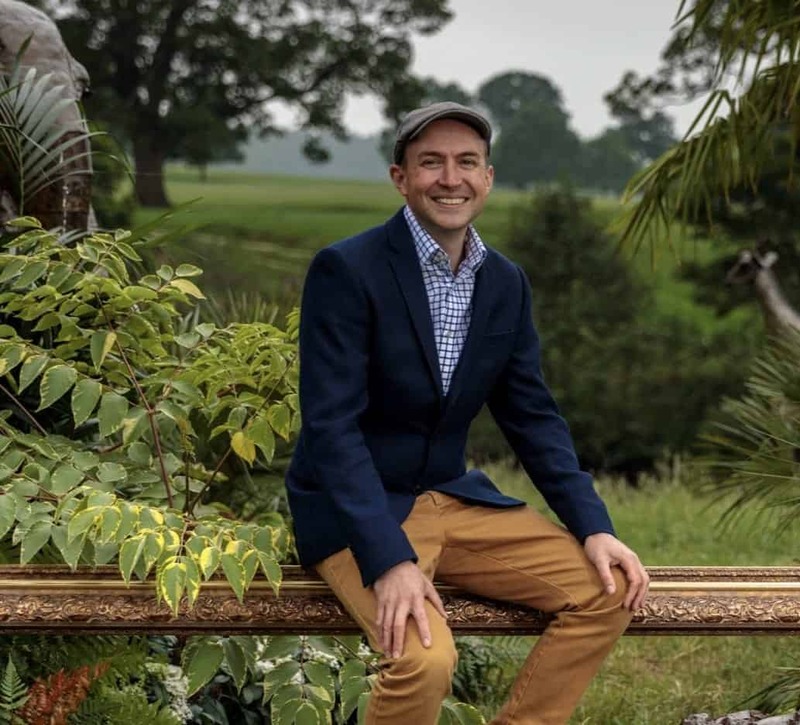 Presented by Diarmuid Gavin, my journey culminated as one of the eight winners where I spent six months training with the Royal Horticultural Society at Wisley. When I returned to Sheffield, I knew I couldn’t go back to cutting grass (I’d sold my van and lawnmower anyway to help pay for our mortgage). Working with Diarmuid had been extremely inspirational, but his design course certainly hadn’t been conventional (which he acknowledged was intentional), so I felt further training in the theory of garden design was essential, and found myself back at university, returning a couple of years later lecturing part time, as well as designing and project monitoring the construction of gardens. The years rolled on and the business grew, mainly through recommendations and my association with the Society of Garden Designers, and the British Institute of Landscape Industries. 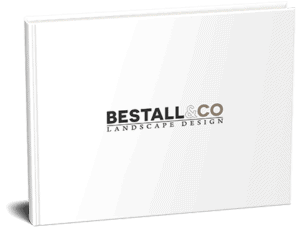 I am now the Founder of Bestall & Co Landscape Design, I changed the name from Inspired Garden Design in 2017 due to the increasing number of competitors throughout the country with the same name. Lee Bestall has been designing and managing the construction of gardens for over ten years and his genuine passion and enthusiasm are infectious. He regularly writes gardening and outdoor style articles for glossy magazines, and is stand in presenter of BBC radio Sheffield’s Gardeners Question Hour. Lee’s career began with the opportunity of a lifetime back in 2005 when he was selected from 4000 people to take part in a BBC2 gardening documentary called Garden School. Presented by Diarmuid Gavin and dubbed ‘The Apprentice meets Big Brother in a garden’ followed 8 students as they studied horticultural techniques at RHS Wisley and were inspired by trips around the gardens of Europe with Diarmuid. In June 2011 Lee became a fully registered member of the Society of Garden Designers (which is no mean feat!) and his garden at home helped a Sheffield based landscaper win the Principal award at the BALI awards in London for best domestic garden construction 2011. In October 2012 Lee was selected by Kevin McCloud as the first ever Grand Designs ‘Garden Designer of the Year’ with his award winning garden ‘Cloud Nine’ and after successful award winning gardens at Chelsea 2015 and 2016, Lee created a garden on Main Avenue at the RHS Chelsea Flower Show in 2017 for CAPCO named 500 years of Covent Garden. Lee has been brand ambassador for Sheffield based garden tool manufacturer Spear & Jackson since 2016 and continues to help them to promote his love of gardening to a wider audience through social media, articles and his monthly YouTube videos. 2019 looks set to be a very exciting year, as Lee and his team are already working on a large private residential development in Nottingham, several projects in Yorkshire and Derbyshire and a large public project in central London as well a number of gardens near Chicago in the USA. 2012 – Harrogate Flower Show. Self funded. 2012 – Grand Designs Live, Birmingham NEC. Self funded.